Even in the summer Wagrain is an attractive place to be and there are lots of activities for their guests. Wagrain offers a great opportunity because of its ideal location. Shops, restaurants and bars are easily accessible within walking distance and the well known swimming pool ‘Wasserwelt Amadé’ is located 800 meters away. The swimming pool is open in all seasons of the year. Golf enthusiasts can go to Goldegg or to Radstadt. There are also lots of opportunities to get on a mountain bike and to start mountain climbing. The centre of Salzburg is just 1 hour away by car. It is an amazing place to be and we recommend you to visit the centre for a day. Are you willing to see something enchanting? Then you can go to ‘Eisriesenwelt Werfen’. It is an extraordinary cave with breathtaking views, which you can visit with limited possibilities. To get an impression of the cave and to find out its visiting possibilities, you can click here. Wagrain is very suitable to take a walk and enjoy the view over the mountains. There are several hiking routes in Wagrain which you can follow or you can walk your own route. For example you can take a day to visit the mountain lake Jägersee. It is easy accessible by car or bus (about a 15 minute drive by car). The walking route at the lake goes around a mountain stream to the valley, which is accessible to prams. 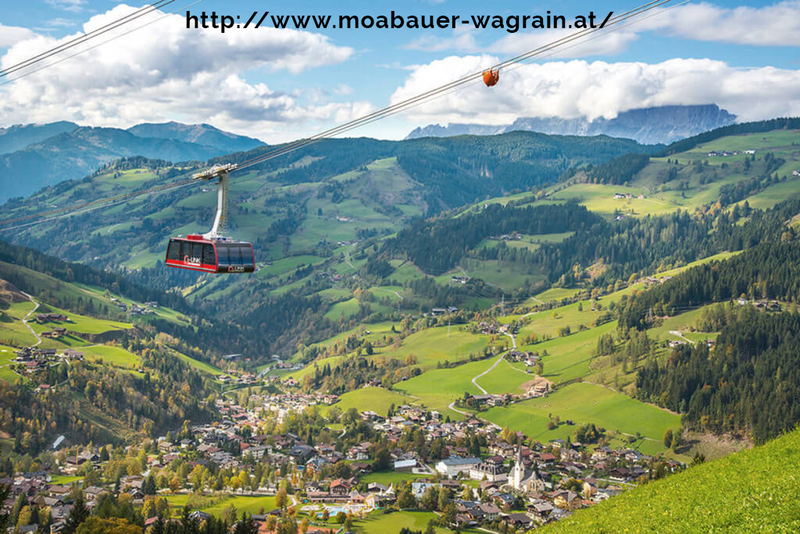 Click here to find out what other activities you can do in Wagrain.